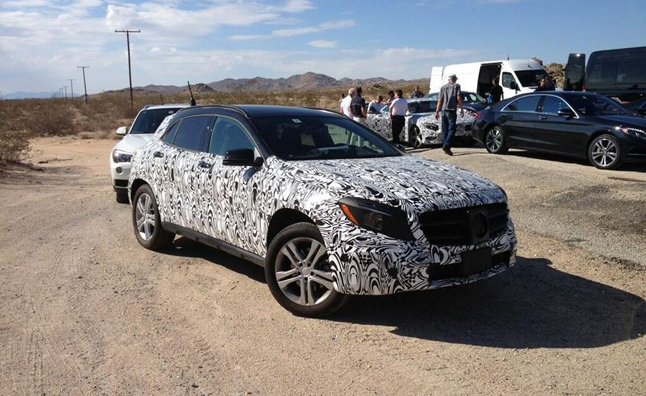 Spied a lot of times in various countries around the world, even seen in Dubai too, now the President and CEO of Mercedes-Benz America Steve Cannon, had tweeted the picture of GLA crossover from his Twitter account. The vehicle is doing test rounds in Death Valley. And while looking at the image very closely, one would realize BMW X1 is also seen behind it. Hopefully both of the vehicles will rival each other in the future and so we too are drooling over what the comparison has to reveal at the Frankfurt debut. Added as a reminder, the GLA will be based on front wheel driven MFA platform of Mercedes Benz and would draw cues from the A Class and B Class. Previous PostPrevious Tata Nano Going to be Sold Online?